What is a Project Record? 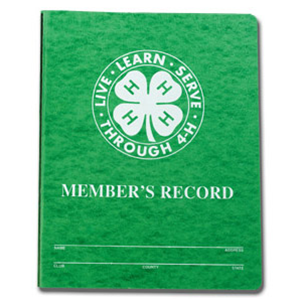 4-H Records are an important written summary of what you have learned and the skills that you have gained within your 4-H work as well as other parts of your life. Over a period of years your records will show how you have grown. The information on your 4-H records will be useful as you fill out other forms in your life such as resumes, job applications and college applications. A 4-H project is an area of interest that the member spends a significant amount of time and effort on during that year. For example, if a member bakes for the holidays during the year and helps to set the table and clean up after dinner twice a week throughout the year, this does not constitute a Foods project. A project requires that members set goals relating to new things they want to learn and new skills that they want to gain during the club year. They must work in a deliberate manner and spend a significant amount of time to meet these goals. On the Project Record the member must demonstrate that he/she has taken part in learning experiences related to this project and document the skills learned. All work on 4-H records is to be done by the member. Of course, the member may receive assistance and encouragement from others. For more information on the 4-H Livestock Show Project Book Requirements, CLICK HERE! What is a Portfolio Record? Portfolios, formerly called Cumulative Records, cover 3 years of project work in the same area, and are for youth ages 13-18. These Portfolio Records have different and more in depth record pages. December 31st is the annual due date for all Project and Portfolio Records to be returned to the Washington County Office for Judging. This excludes Livestock Show Project Books which have an earlier deadline, per Livestock Show Rules. Click here for more information on the Livestock Show Requirements. There are 10 Project Record Categories that projects can fit in. Below is a list of the most common projects and the categories they fit under. If you do not see your project here, don’t be discouraged. Your 4-H Agent will help you find the best fit for your interest. So be creative! 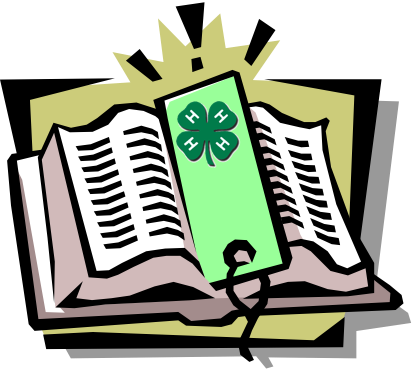 • 4-H Record Book, Portfolio and Group Award Judges Needed!